Deborah's Journal: Yes, they are all a bit wonky-shaped. Yes, they are all a bit wonky-shaped. 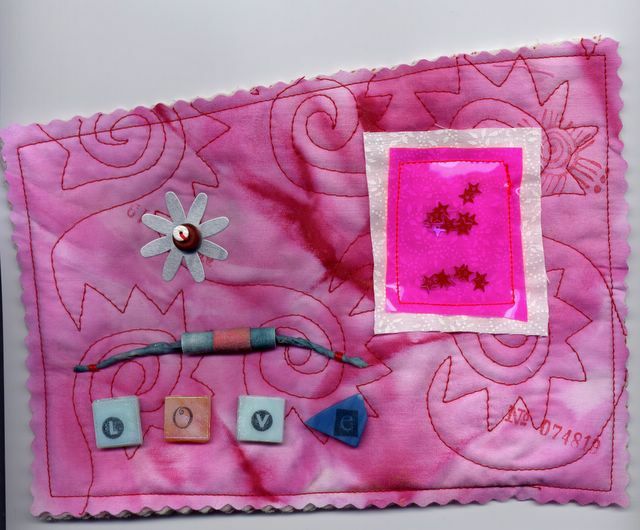 I made three smallish fabric collages today. 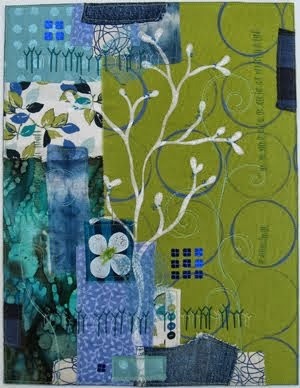 Art Quilts Maine meets tomorrow. We are exchanging postcards/ornament/small quilts. (A leftover agenda item from our December meeting which was snowed out.) So I made some Christmas ornaments way back then, but it seemed silly to exchange those now. 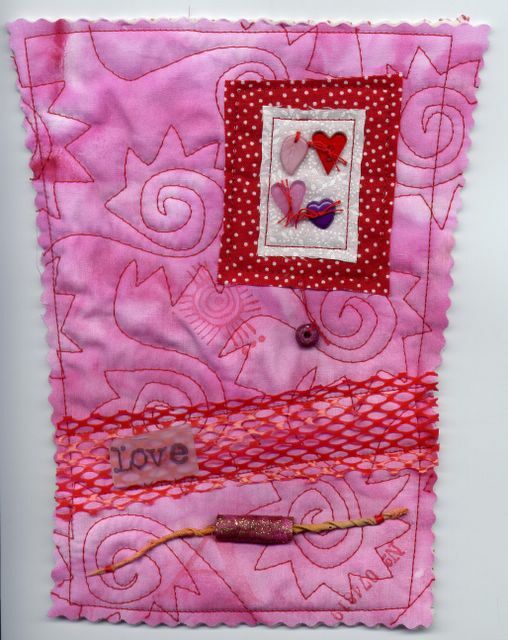 So, I moved on to Valentine's inspired colors and embellishments. 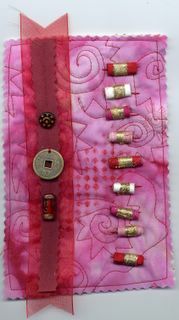 This one includes a bunch of fabric beads I made. I think they look a bit Asian. I've received some wonderful exchange stuff in recent swaps -- including this background fabric, some of the beads and the "love" tile. That red screen is from a box of clementines. Delicious fruit and crafty stuff all in one purchase! Deborah, I love them, especially the one in the middle. 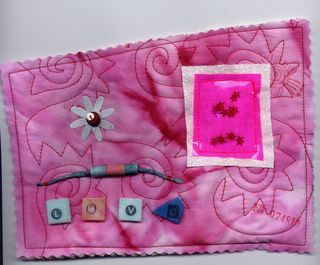 Are your fabric beads made with the drinking straw core? I saw that in QA magazine and was going to try that but never got around to it. These look like so much fun. I am sick today and maybe making something like these will make me feel better. Thanks for posting pictures, it makes blog reading so much more fun. 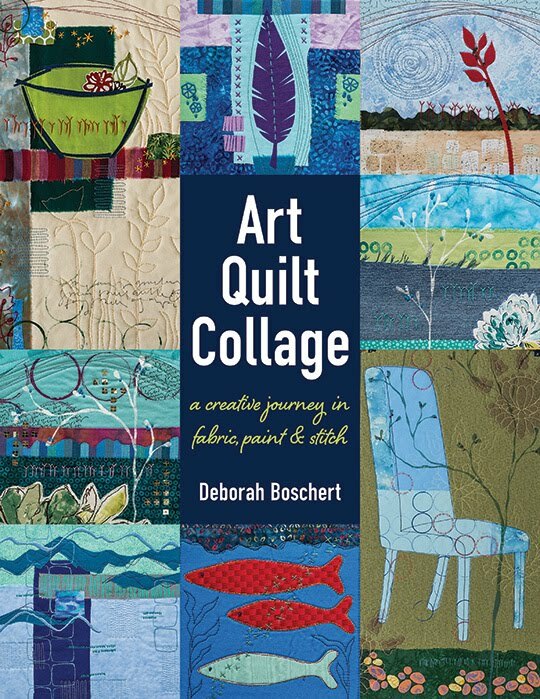 I love the quilting motif you've used in the background. Great colors too!